What next for Clem and AJ? Out on the open road, Clem and AJ come across Abel, the raider who tried to steal their find at the train station, who somehow survived even after I shoved him out the window and walkers bit a chunk out of his arm. It seems that you “can” survive a bite if you cut it off quick enough, something that must not have been quick enough for Lee in Season 1. He isn’t alone though and to my surprise, it was a blast from the past as Lilly from Season 1 returns and plans to take the whole school as soldiers in a war against another community. 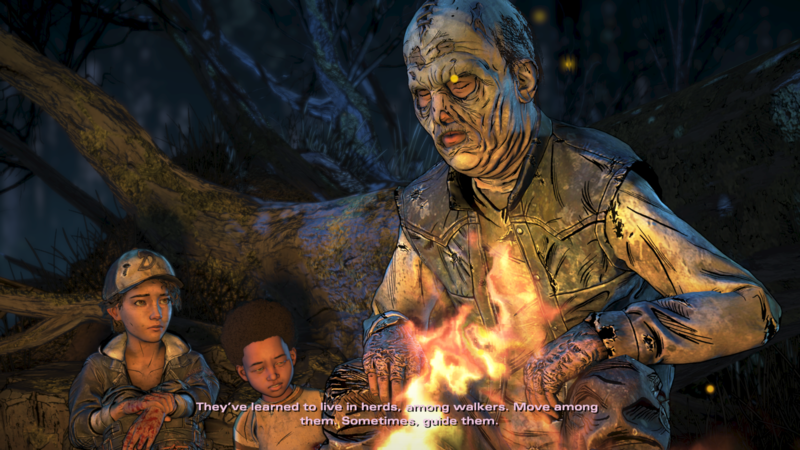 AJ and Clem get away with the help of a distraction and come across a guy called James who is dressed as a walker who was part of a famous Walking Dead group known as the Whisperers. He takes the group back to the school as AJ was shot in the firefight escaping Lilly and Abel, the group patch AJ up and agree to let them stay to fortify the school from the upcoming attack. 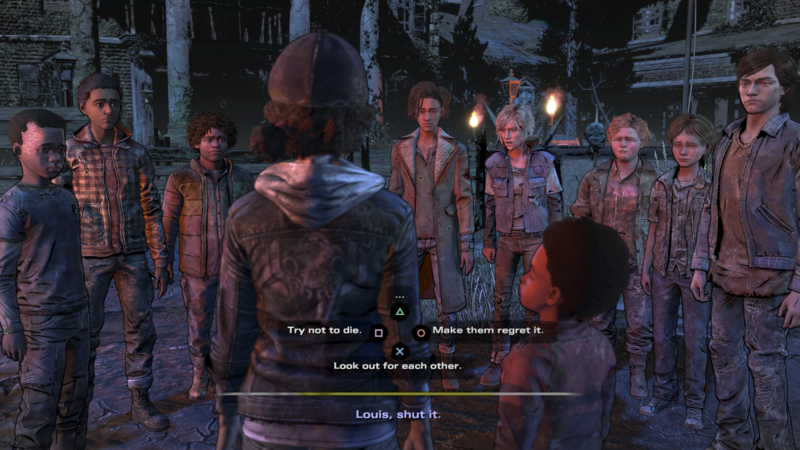 Weeks pass before the attack, which gives the group time to bond and even a potential romance for Clementine with either Violet or Louis, depending on if you “ship” them with either. The episode ends with you having to choose either to save as the other is captured, as well as others from the group. Luckily, you managed to capture Abel who will likely give up the group location. And that’s where we are with the series, will we get to rescue the captives and put an end to Lilly’s plans or is this the way the series ends? Only time will tell, the latest rumour is that they plan to outsource the series and that Episode 3 is about 90% complete anyway, but whether this is true or not remains to be seen. Visually, the episode is great to look at and even for an outdated engine, the Telltale Tool still manages to pull off some great moments here. Voice-acting is as good as always, as is the soundtrack.